Koko Dairy Free Super was created in consultation with dietitians to offer specially boosted daily nutrition for all ages from toddlers to seniors. Enriched with 9 key vitamins and minerals and also containing potassium, zinc, iron, magnesium, phosphorus, plant protein and plant fats, it provides more nutrients than any non specialist milk - dairy or plant! It's low in sugar too. With a delicious, creamy, full-bodied taste, it's perfect in smoothies and shakes, on cereal or simply enjoyed straight from the glass. It really is Super! 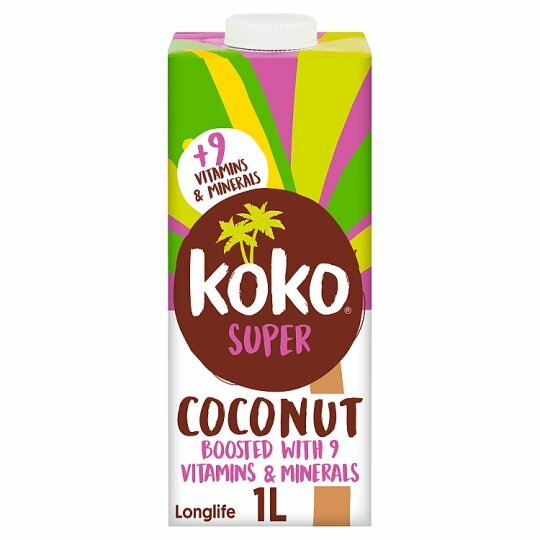 Koko Dairy Free Super is made using freshly pressed coconut milk of the highest quality and is free from all major allergens including dairy, soya, nuts and gluten. It's also free from artificial colours, flavours and preservatives.